As I stood out just behind the right field bleachers at Busch Stadium talking to my friend Andy a few years ago, I asked him his thoughts on the Jason Heyward deal. Andy’s quick-witted remark? “Welcome to Baseball Purgatory, Mr. Heyward. You’ll do fine here, but we all know you are looking at much bigger money and better things around the corner.” He wasn’t wrong, and that’s hard for me to admit, because Andy was a Mets fan. He wasn’t simply a fan of the Mets. No wallflower or faceless bystander was he. He was a hideously energetic Mets fan transplanted smack dab in the heart of Cardinal Nation, and he repped his team proudly no matter what team came to town. Braves @ Cardinals? Andy was wearing a Mets hat. An abbreviated I-70 series with the Royals at Busch? Andy was wearing a Mets hat…maybe a jersey too. Those promotional giveaways of bobbleheads and themed beanies? Andy would offer them to the first person willing to take them off of his hands. He failed miserably at concealing his joking disdain. But God help us all when the Mets did make it to Busch. You could always tell when it was “Mets week”. First of all, Andy would begin reminding people the week before the Mets would visit. Second, Andy would slowly mutate from his usual sarcastic, stubborn, bah humbug self into a just slightly less sarcastic, stubborn, bah humbug version of himself. It was an endearing spectacle, especially if you knew just what a nice and caring guy he was when he wasn’t bemoaning “instant” replay taking several minutes. Unsuccessfully hidden beneath the facade that allowed him to berate umpires from afar, he was a gentle soul. He loved and adored his family. He was the best friend he could possibly be to those around him. He was a kind man with a massive appetite for anything baseball, and he passed away yesterday. Now I wish for you to know a bit of the Andy Gustavson (@ajgmets) that I was fortunate to know. Andy was a stroke survivor and a proud one at that. That was information he gladly volunteered to anyone who lingered to take a second glance at his “stupid walker”. Mind you, most people probably weren’t being nosy about the walker itself but rather the myriad of bags and assorted attachments connected to it. His walker had the look of a highly personalized rickshaw with humanized plumage meant to draw the eye. It wasn’t that at all. The bag of goodies from Gus’ Pretzels had to hang in a certain way so that he could reach into it without ever breaking eye contact with the field. Same for the water bottles. The charging cable for his smartphone was on the other side, because that made it convenient to connect to an outlet. The laptop was there too, because who doesn’t like to squint at a laptop screen while trying to blog during a game at 2:20 in the afternoon? Of course, you can’t fit a walker and a laptop (or even a person of slightly above average body mass) into a regular seat at Busch, and you’d need an experienced Sherpa to get Andy’s stuff into the bleachers (not to mention Andy himself). Thankfully, that wasn’t an issue due to what may have been the best case of harmless collusion involving a fan and stadium employees ever. Andy had a seat. It was his seat. When Andy first started attending games, he would attempt to find himself a spot to sit with his walker relatively close to the section on his ticket. Before long, a thoughtful usher or two would encourage him to relocate to a better, more comfortable vantage point. Andy was resistant at first. At one point, they probably had to threaten forcible relocation. After all, he paid to be in the upper deck and was happy to watch from there. The ushers wouldn’t have it. Andy might start in the nosebleeds, but he would end up elsewhere. Eventually, the ushers managed to migrate him all the way to the back of the right field bleachers – perhaps so that they wouldn’t have to track him down and make him accept being the recipient of their collective goodwill. Maybe they had a meeting, or maybe there was some serendipitous alignment of grace. We’ll probably never know how Andy ended up right next to the tunnel, behind his favorite bleacher section, and next to the “pitcher’s house”. The deal was beautifully simple. Get into the ballpark using legal, non-nefarious means and no matter what is printed on the ticket, you go directly to your seat. Do not pass Ford Plaza, do not collect $200. It was truly a series of fortunate events that played out almost every weekday home game. Andy avoided the weekends a lot, because you get “a lot of dumb drunk fans on weekends” he once told me. Preach, Andy. Preach. Naturally, the Mets were the exception to that weekdays only rule. Oh, and so were free tickets. And some promotions when he knew somebody wanted a particular towel/shirt/easily broken plastic thingy. Okay, perhaps he’d go on a Saturday as long as it was a day game and some friend asked him. No Sunday Night Baseball games though, because the line in the sand had to be drawn somewhere. Even a survivor like Andy wanted nothing to do with MetroLink late on a Sunday night. Just ponder that for a moment. Think you are tough? Try riding the MetroLink to and from downtown while navigating traffic with a walker in the crippled body of a stroke victim. Andy wasn’t above getting a ride to/from the stadium, but he also wasn’t going to put a lot of time and energy into actively seeking them out. Like so many others who knew Andy, I offered on several occasions to pick him up on my way, but he always had an excuse. He would kindly thank me for thinking of him, but he proclaimed that it was too far out of my way. Occasionally, he’d change things up and remind me that he liked to get there early while I’m usually walking up as the Anthem is starting. Most of the time, he would just tell me that he’d see me at the game. He was right. I’m a left field kinda guy though, so I would usually watch a couple of innings and then make the trip to visit Andy while the bottom of the visiting team’s lineup was due up to hit. Andy would introduce me to the ushers in the area, and then he’d tell me that the usher’s daughter-in-law’s college roommate’s bridesmaid was getting married to a guy who wore a Mets tshirt in his 7th grade school picture. 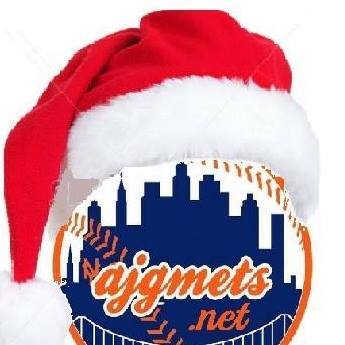 We would talk baseball, weather, baseball, family, Mets baseball, Matheny’s inability to manage a bullpen, and occasionally a little about baseball. I won’t be making that trip to see Andy again. That makes me a bit sad, and I’d trade the asterisk next to Johan Santana’s no hitter for the opportunity to make it just one more time to spend an inning people watching with him and talking baseball. Goodbye, Andy. Maybe in the real baseball heaven So Taguchi doesn’t take Billy Wagner deep. Godspeed, Andy…..and Let’s Go Mets (2040)! !